Office 365 provides the right environment for better learning outcomes. In this learning path, educators will learn how to become more innovative with cloud-based tools, regardless of the device they use. In this course, learn how to use basic features of Office 365 including Microsoft Teams, OneNote, Sway, Microsoft Forms, Office Online and OneDrive. Office 365 provides the right environment for better learning outcomes. In this introduction to Office 365, educators will learn how to become more innovative with cloud-based tools, regardless of the device they use. This course is aimed at educators for whom Office 365 is relatively new and who are looking to implement solutions to classroom problems right away. With Office 365, educators will learn how to become more innovative with cloud-based tools, regardless of the device they use. Get started with a hub for teamwork in Office 365 for Education. Microsoft Teams is a digital hub that brings conversations, content, and apps together in a single experience in Office 365 for Education. Using Teams, teachers can move quickly and easily from conversations to content creation with context, continuity, and transparency. Teams addresses the unique needs of different groups and enables them to work together easily and get things done. Staff Teams for effective leadership is a course that has been designed to assist school leaders in setting up a Team and Staff Notebook while allowing you to bring your already created files and documents into this efficient work environment. This course will teach you how you can use PowerPoint Recorder to flip your instruction, providing content for students outside of class and help to improve student outcomes. 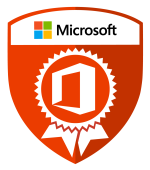 The last step in completing the Office 365 Teacher Academy Learning Path. Complete the assessment, and you will earn your badge!